FreedomPop, the company trying to become a data carrier, has unveiled its new case that will give 4G internet to iPod touch. FreedomPop’s new case for iPod touch brings internet to your iPod via WiMax connection. You will have internet on your iPod touch wherever there’s WiMax coverage. FreedomPop has begun taking pre-orders for the iPod touch Freedom Sleeve. You can pre-order it for $99 and expect to have it within two months. After receiving the case, 500MB of free data will be given to you, and will be charged $10 for each additional GB. With the FreedomPop sleeve for iPod touch, you can also turn your iPod touch into a hotspot to tether up to eight WiFi devices. The case is sold without contract, so you can cancel it at anytime if the coverage is not good in your area. EXCLUSIVE – FREE 4G wireless internet for iPod Touch – Freedom Sleeve for iPod Touch. Turn your iPod Touch into an iPhone with the FreedomPop Sleeve: 4G data for your iPod Touch, Wi-Fi hotspot for up to 8 other devices, stream video and music anywhere, and you can even use Apple’s FaceTime wherever you go! Check out this video to learn more about the Freedom Sleeve for iPod Touch. 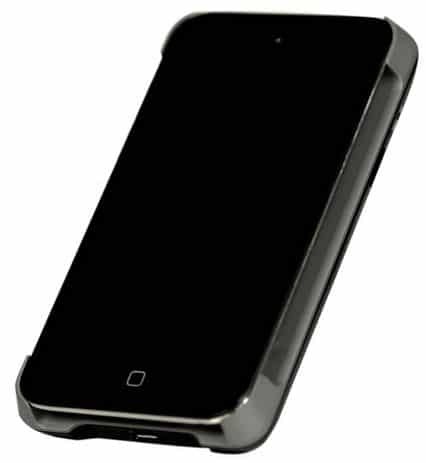 FreedomPop also offers a similar FreedomPop case for iPhone 4S and iPhone 4 as well.